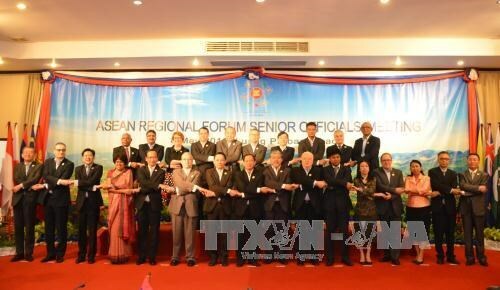 Hanoi (VNA) - The Philippine Department of Foreign Affairs (DFA) announced on August 3 that the country does not support the expulsion of the Democratic People's Republic of Korea (DPRK) from the ASEAN Regional Forum (ARF) despite calls from the US. The DFA’s spokesperson Robespierre Bolivar said the ARF is the only venue where the international community, including Southeast Asian countries, can tell the DPRK their concerns over its missile tests and nuclear programme, making it a good platform for related parties to find "cooperative ways" to resolve the situation. On August 2, Susan Thornton, US acting assistant secretary for East Asian and Pacific Affairs, said Washington will continue to have discussion of what it would take for DPRK to be suspended from the ARF, as an effort to further isolate Pyongyang to force the country to abandon their missile and nuclear weapon programme.